Infinix Company has scheduled the official date for some of its smartphones to receive the Nougat Update. So users using any of the devices which are already listed below with scheduled date can proceed to upgrade/update their phones once the Nougat becomes ready. Most of Infinix users prefer infinix smartphone brands to other local mediatek smartphones. Reason is because Infinix manufacturers tends produce their smartphones to at least receive one or two firmware update, whether the mobile phone has low end or may be flagship smartphone. 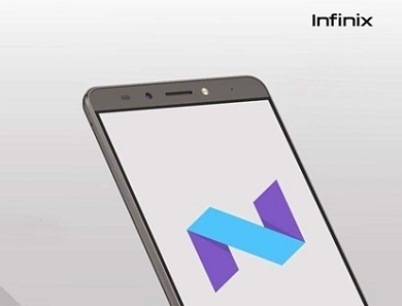 If you are a regular reader of this blog’s content, you will recall that sometime ago precisely last month, Infinix mobile phone manufacturing Company released the latest Android Nougat update for its infinix Note 3 and infinix Note 3 Pro, and I updated about it here on Techbmc. Now they are set to release the Nougat update for their eligible devices and the dates has been published already. It is good for you to know that the beta version usually comes before the main official version. It is done that way because, the beta version usually comes with lots of bugs and only interested users are expected go for it at that moment. So the main official update comes after most of the bugs have been resolved and fixed, and also when the device’s ROM has been made more stable. So having taken note of that, below comes the full list of Infinix smartphones to get /receive Nougat update and with their official scheduled date. I believe by now, you must have seen from the above list if your mobile device from infinix makes it to the official update or not. If yours is among the devices, then get ready for the upgrade and should in case you didn’t receive/get the OTA update, then you can proceed to update it manually. For those using SamSung Device, you might want to checkout how to Download And Flash All Samsung Galaxy S7 Stock Firmware Free.